Sweden or Swedish silver begun in the year 1485. Then, all silver articles manufactured in Sweden are required to have a maker hallmark. Around the year 1596, City Stamps were introduced. The date mark was later introduced in the year 1759. This is always the first marking on Silver articles from Sweden. Basically it identifies the silversmith that manufacture the article. It is typically in 2-3 alphabetical characters or and abbreviation of the silversmith or retailers. 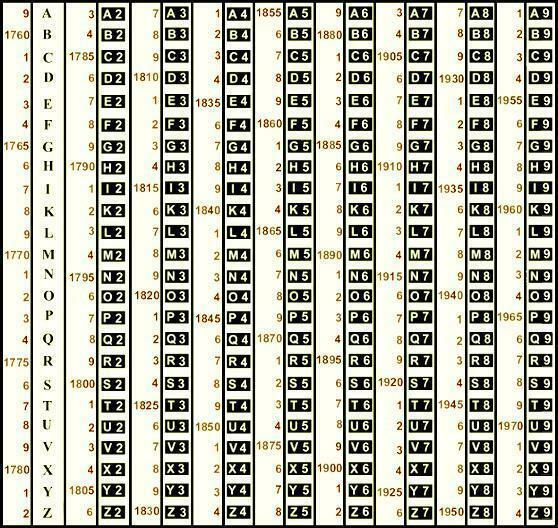 Control Stamps or Assay Marks is the mark that identify the metal and guarantees the fineness of the metal in the article. Triple crown: Swedish national mark or stamp of the authorities on silver objects made in Sweden. From 1988 this stamp is also used on imported products. Swedish national import stamp on items from abroad. Not in use after 1988. 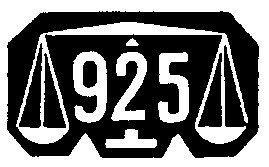 European Control Stamp (CCM) for silver 925 / Sterling. In use in Sweden from 1975. This identifies where the item was tested and assayed. 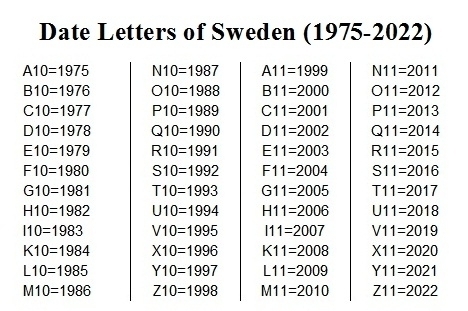 As mentioned earlier, Sweden adopted date mark around the year 1759. However collector do note that it is no longer compulsory to have an article stamped with a date mark now.